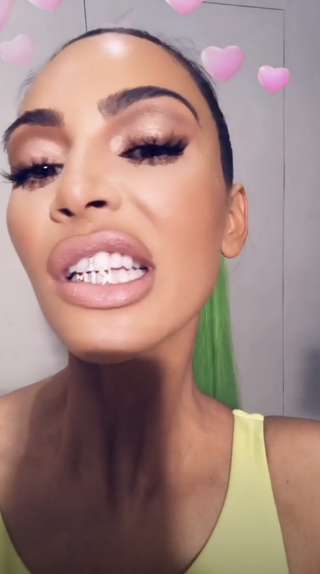 home Lifestyle Kim Kardashian Flaunts Her New Diamond Grillz on Instagram - How Much Does It Cost? Kim Kardashian flaunts her new diamond grill teeth making it her first jewel flash after the Paris incident. The reality star Kim Kardashian recently got her teeth encrusted with diamond. 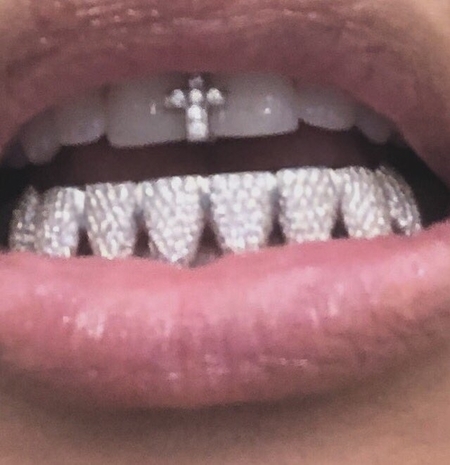 Kardashian made sure to flaunt her bling diamond teeth on her Instagram. The picture shared by the star is a close-up image of her 'new grillz' teeth, where her lower teeth are all covered in tiny diamond and a diamond cross disclosed between her two upper front teeth. Soon after the picture of Kim's diamond teeth surfaced, people quickly commented. "How old are you grow up its looks stupid"
"Oh! There she go posting diamonds again! Thoughts & prayers"
Like husband Like Wife, Kim's husband Kanye West is also a fan of the grill. In fact, Mr. West is rarely seen without the grill on his teeth. 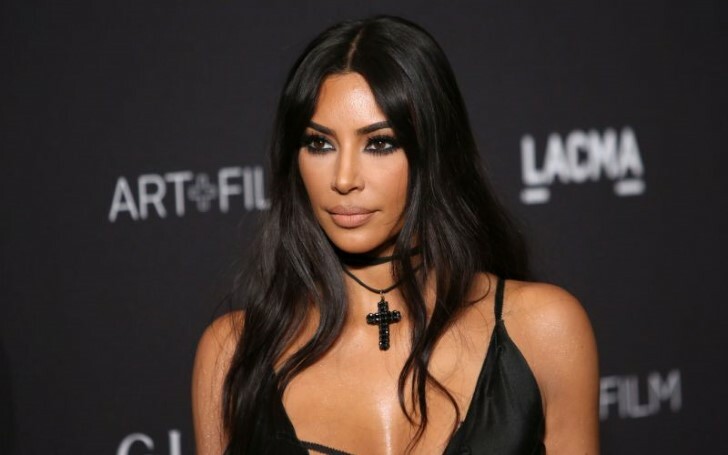 The last time Kim showed off her diamond grill goes back to 2016 when she was in Paris and became a victim of a robbery by a group of thugs dressed in police uniforms. Almost $10 million worth jewels including her 20-carat engagement ring were robbed. "Just my priorities completely changed, and what is important to me changed. I'm a better mom because of it. The things I'll teach my kids are different." "I just don't care about that stuff anymore. I really don't." However, this is not the first time the 38 years old mother of three wore a grill. Back in the previous years, Kim already posted pictures of herself wearing them. As a matter of fact, the reality star even wore one with her spells. She proudly unveiled the KIM grill installed on her lower teeth on her social media last year in August. Similarly, she wore another one but in different designs back in 2016. The star showed off one of her first icy grills at the Balmain show. And as per various reports, Parisian jewelry designer Dolly Cohen crafted Kim's diamond grill. Cohen already worked with other celebrities mouths such as Rihanna, Rapper Drake who recently unfollowed Kim and Rita Ora. And normally, crafting one diamond can cost just an amount of around $1,000 to place – plus the cost of the diamond. Furthermore, the most expensive grill ever made is worth $152,700 with 24-carat pure gold and 160 diamonds. Previously, Kim's husband Kanye once yanked diamond grills worth around $60000. Although Kim's diamond grill price is not revealed yet, one can imagine it could easily be upwards of $100,000.